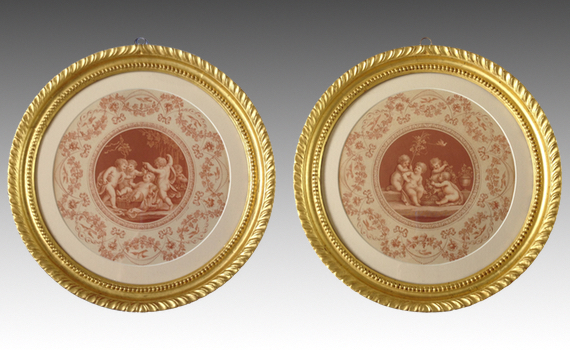 A pair of early 19th century circular sepia engravings after Cipriani and engraved by Bartolozzi. The centre engraved with frolicking bacchanalian Putti, surrounded by garlands of ribbons and flowers. Inset associated late 18th century carved gilt wood frames.